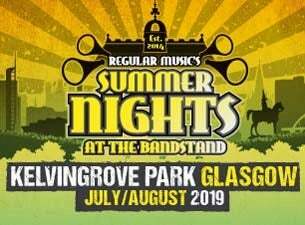 Summer Nights is held at Kelvingrove Bandstand in Glasgow. It's a series of intimate summertime concerts in the heart of the city that runs across two weekends. Now in its sixth year, the festival is set to run 26 July – 10 August 2019 and has announced a huge line-up including Burt Bacharach, Caro Emerald, Teenage Fanclub, Suede, Patti Smith and Her Band, Father John Misty, The Human League, The National, Echo & The Bunnymen, Bloc Party and Hue & Cry.